Home Barn Owl Feather Nikon D7100 Patan Barn Owl – the heart face. Barn Owl – the heart face. Barn Owl (Tytoalba) is the most widely distributed species of owl, and one of the most widespread of all birds.The barn owl is nocturnal. The barn owl is a medium-sized, pale-coloured owl with long wings and a short, squarish tail. We always want to see this owl but we never get chance. 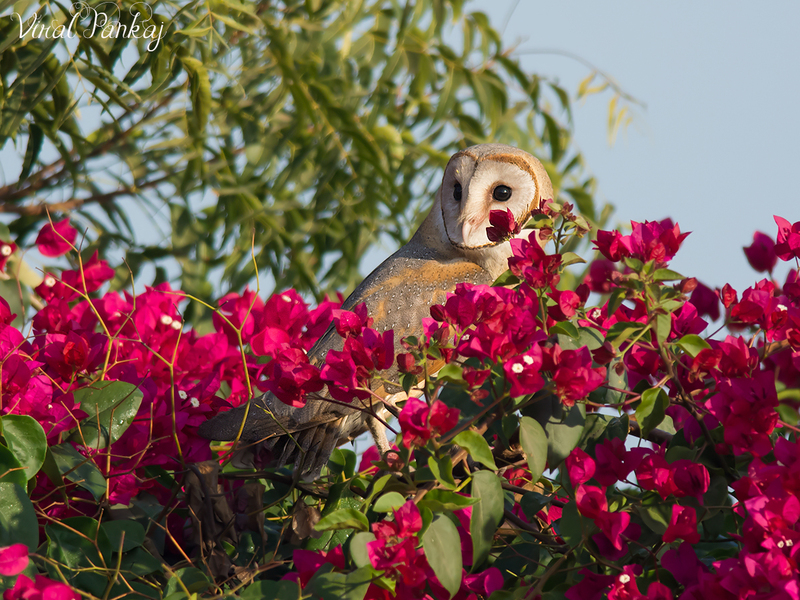 When we come to Patan we saw many new species and Barn Owl is one of them. We saw them in our campus. One day while going to college in afternoon we heard lots of alarming call of common birds from corner of our campus. We went there to see what happen and why are they making call. Snakes are frequently seen in our campus so we thought its might be a snake. But our assumption was totally wrong. In fact commoners were trying to mob something else. All of sudden our kid Sweetu saw a bird in inner branches of Baboon tree. It was camouflage in such way that its difficult to locate. When we saw that bird it was flying away due to constant mobbing by commoners. The pale face with its heart shape and black eyes give bird a distinctive appearance. We immediately know that it is Barn Owl. We saw that bird again in same month, same place.